The number 10 Big Blue whole house housing sump fits on Pentek, Culligan HD-950, Ametek HD-10, Kleen-Plus, USFilter, and American Plumber housings. The number 10 Big Blue Sump may not fit on other brands. 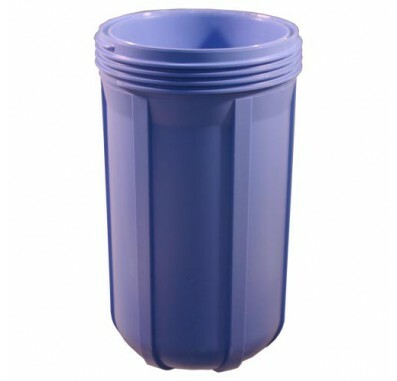 The number 10 Big Blue canister holds 10-inch L x 4.5-inch W water filters. The number 10 Big Blue housing sump fits number 10 Big Blue caps with any inlet/outlet size. 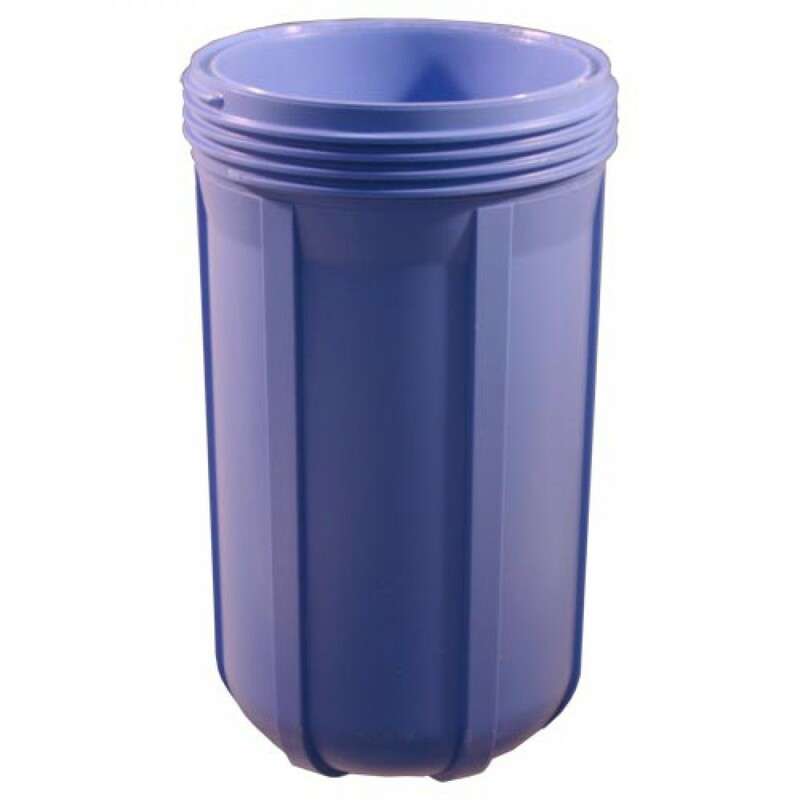 If you have a Blue housing canister, you CANNOT replace it with a Clear housing canister and vice versa. If you have a number 10 Blue Housing Sump, you can replace it with a number 20 Blue Housing Sump and vice versa. These housings are interchangeable for American Plumber, Ametek, Culligan, Kleen-Plus, Pentek, and USFilter brands. Sump does not come with an o-ring. The number 10 Big Blue housing should be changed at least every 5 years.